Police have arrested a man they say beat a 65-year-old man on the J train subway platform until he lost consciousness. LOWER EAST SIDE — Police have arrested a 19-year-old homeless man they say beat a 65-year-old straphanger into unconsciousness last month at the Delancey Street station last month. 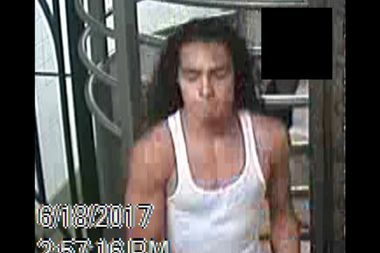 Andrew Flores, 19, approached the man on the Queens-bound J train platform June 18 around 4:50 p.m. and knocked him to the ground with a punch, police said, then continued to kick and punch him while he lay on the ground until he lost consciousness. Flores was cuffed July 20 and has been charged with assault in the second degree, records show. Police released information on the arrest July 24. A witness to the attack and police both identified Flores from subway surveillance footage, according to a criminal complaint. Flores is currently being held on Rikers Island at $7,500 cash bail or $10,000 bond, Department of Correction records show. He is due back in court July 26. His attorney did not immediately return a request for comment.